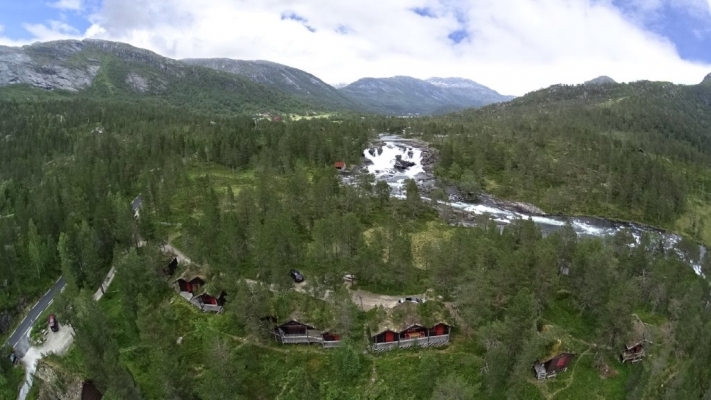 Hov Holiday Cabins are situated in the middle of the famous fjord area of Westen Norway and in the waterfall region of Sunnfjord. 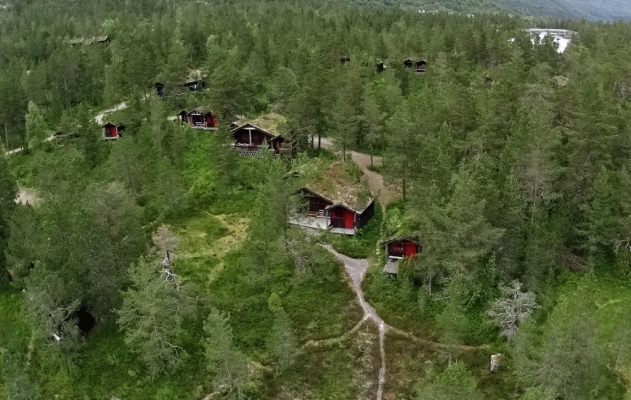 There is a short distance from Hov Holiday Cabins to Jostedalsbreen glacier; the biggest glacier in mainland Europe, and Sognefjorden; the longest fjord in Norway. 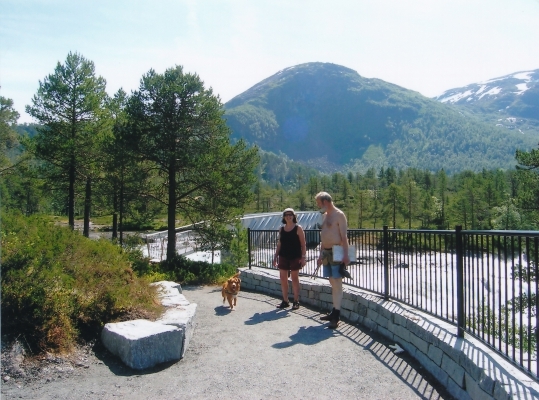 Along the watercourse of Gaula there are many waterfalls and lakes, and trout abounds in all the local streams and lakes. In the woods there are plenty of wild berries and mushrooms to pick in season. Here you will also find good hiking in varied terrain, both long and short hikes in the surrounding area. Other services that Hov Holiday Cabins offer are transport services, sale of fishing license for trout fishing and renting of boats and canoes. The SERVICE HOUSE contains a reception, kiosk, telephone, free internett connection, toilets, shower and washing facilities. At the campsite we have for 15-20 Mobile home/Caravan spaces.